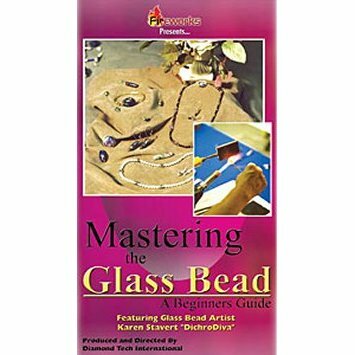 MASTERING THE GLASS BEAD by Diamond Tech Intl. Anyone can create a bead using a simple torch head; Karen will show you how! Karen Stavert, a 6-year glass beadmaking veteran, delivers an inspiring and enthusiastic 40-minute class right to your home. From two simple basic shapes, she will show you how to create a multitude of different beads. Karen also gives a step-by-step explanation of safety procedures and tool usage. Join her as she dispels any apprehensions you may have about beadmaking. VHS video tape. 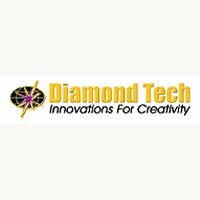 Notify me of updates to MASTERING THE GLASS BEAD by Diamond Tech Intl.